CMS has issued a notice of proposed rule-making to the Federal Register on January 13, 2011 concerning the hospital value-based purchasing program. The new program has become known as the VBP Program. CMS was required to develop this program under the Accountable Care Act. The hospital value-based purchasing program, which would apply beginning in FY 2013 to payments for discharges occurring on or after October 1, 2012, would make value-based incentive payments to acute care hospitals, based either on how well the hospitals perform on certain quality measures or how much the hospitals’ performance improves on certain quality measures from their performance during a baseline period. The higher a hospital’s performance or improvement during the performance period for a fiscal year, the higher the hospital’s value-based incentive payment for the fiscal year would be. CMS is accepting public comments on the proposed rule through March 8, 2011. The proposed regulations can be found at this link. Posted in Compliance Programs, Stark Law and Self Referral | Comments Off on Stark Law Self Disclosure Protocols | Do They Create More Ambiguity? 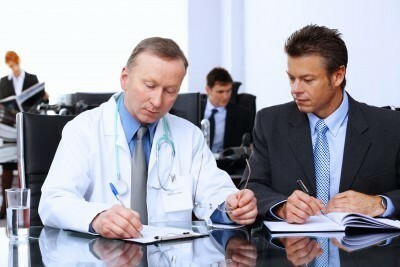 You are currently browsing the Health Law Blog blog archives for January, 2011.